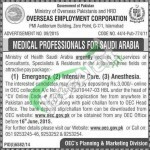 Here we provide you OEC Pakistan Saudi Arabia Jobs 2015 for Medical Professionals Apply Online. Jobs in Overseas Employment Corporation Ministry of Overseas Pakistanis and HRD Government of Pakistan are available and now organization is looking to hire staff for Ministry of Health Saudi Arabia and due to this it is seeking for highly educated, very experienced, hardworking and well disciplined candidates for the posts of Consultants, Specialists & Residents in the following three fields on attractive pay package such as (Emergency, Intensive Care and Anesthesia). Candidates willing to apply for the post of Consultants must have Doctorate or equivalent degree in specialization with minim three years experience, those who wanted to apply for the post of Specialists should have Master or its equivalent degree in specialization with minimum 2 years experience and those who wanted to apply for the post of Residents should be MBBS and have minimum two years experience after internship. The interested candidates should apply by submitting detailed CV along with paid challan form to the relevant Head Office of your city. 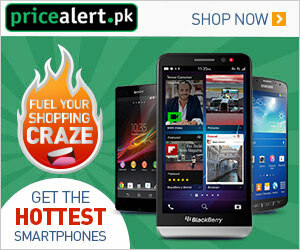 Candidates may also apply via online at the official site of OEC or through web link given below. Last date for submission of application is 16th June, 2015. Only eligible candidates fulfilling criteria will be called for interview. Last Date to Apply: 16th June, 2015.